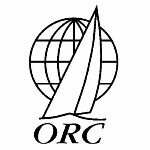 An impressive 70 entries have already registered to compete at the 2011 ORC International World Championship, to be held on the island of Cres in Croatia over 18-25 June 2011, and more are signing up each week. Currently 12 nations are being represented at this event, with most of these entries hailing from the Adriatic countries of Italy, Croatia, and Slovenia. However, there are also teams coming from Austria, the Czech Republic, Greece (Aristofani GRE-1244), Hungary, Portugal, Russia, Slovakia, Great Britain, and the USA, making this suitable as this year's only ISAF-sanctioned World Championship for offshore sailing. Numerous past World, Continental and National Champions are in the planning stages to come and vie for the World title, including the 2009 Class A World Champion, George Andreadis's Meliti team from Greece, and last year's ORCi European Class A Champion Riccardo Di Bartolomeo's MAN from Italy, a sistership GS42R0 sistership who was also the runner-up to Meliti at the '09 Worlds in Brindisi. In Class B, the 2010 European champion, Francesco Siculiana's GS40RC Alvarosky, has already entered to try and claim their first world title. Other high-performance boats types attending include TP52's, an R/P 60, a GP 42, and possibly the new Farr 400. These will all be in Class A, which typically includes boats over 42 feet with a rated speed of faster than 600 sec/mi, though there some modern designs faster than this figure under 42 feet in length. The venue for the event and site of all shoreside activities is at the ACI Marina adjacent to the town of Cres, which is situated in the middle of the island of the same name. This is a full-service facility in a protected setting just minutes from the race course areas in the Bay of Kvarner. As in past ORCi Worlds events, the fleet will be divided into two groups, with the winner of each winning the only ISAF-sanctioned World Championship title in offshore sailing. In addition, a Corinthian Division will award an overall trophy among entries who have all crew classified as Group 1 under the ISAF Classification Code.